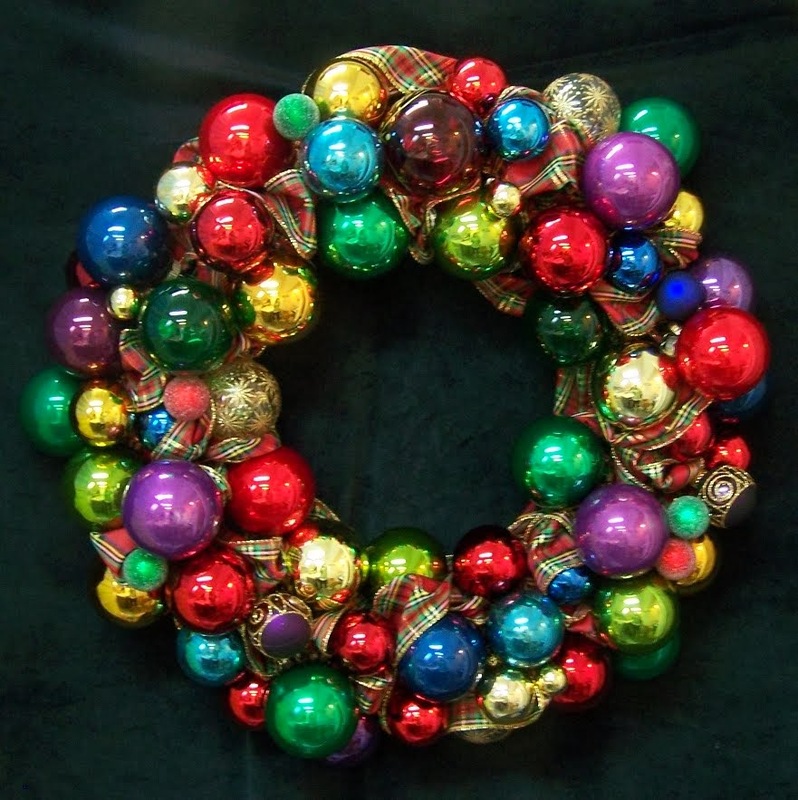 A brilliant mix of red, green, gold, blue and purple glass ornaments makes this holiday wreath truly festive. Gorgeous, sparkly and elegant, this wreath will look great over the mantel or buffet for the season. Both new and vintage glass ornaments, faux greenery, and plastic ornaments are intertwined with a rich, tartan plaid satin ribbon. Tradition with a festive twist! Built-in hanger. Approximately 21" diameter.